It is important to monitor and teach your children to practice good oral hygiene as soon as they begin teething to prevent bacteria from breaking their teeth down. Daily brushing is important to remove plaque deposits that accumulates throughout the day. When paired with a fluoride-based toothpaste and the correct brushing technique (visit oral hygiene page on our website) two times a day for at least two minutes each session, plaque deposits can be removed. Flossing is interdental cleaning that removes the plaque deposits that brushing may not remove. It is important to encourage children to start flossing once teeth touch, as the gaps become smaller, brushing not removing all the plaque and food deposits. Adults should floss for children until they are mature enough to floss correctly with the right technique. 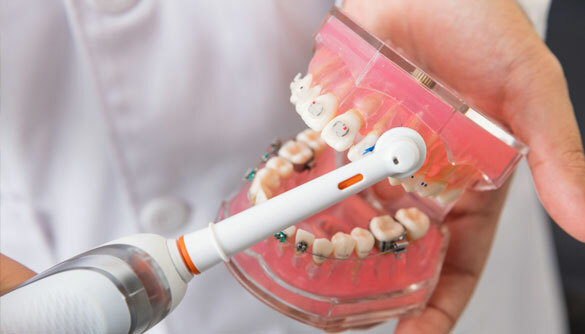 With regular check-ups, a thorough examination of the teeth, gums, and mouth will prevent minor problems from developing into more serious complications. When paired with good oral hygiene, the collaborative approach will help to keep your child’s mouth healthy.